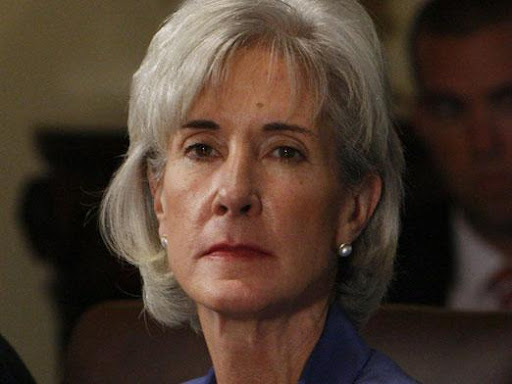 Sebelius Caught Engaging in "Misinformation"
Oscar Wilde once described "a man who knows the price of everything and the value of nothing." The same might be said of those who define our national debate over healthcare policy. The delivery of healthcare is a complex subject. Unfortunately, many politicians and commentators are prone more to pontificating about healthcare than to understanding it. Healthcare is not merely a line item in the federal budget, but something that has real impact on the lives of patients and their families. Government policies ostentatiously enacted in their name have done harm as well as good. The Apothecary is a weblog that seeks to explore not only the price of healthcare, but also its value. It aims to address, using empirical analysis and third-party research, how policymakers can maximize the quality, innovation, efficiency, and accessibility of healthcare. Most of all, it seeks to remind us that healthcare reflects the best of America, an America worth preserving: human skill and ingenuity used in the service of human life. This website is optimally viewed using the Corbel typeface. Corbel was designed in 2005 by Jeremy Tankard for Microsoft to improve the experience of extended on-screen reading. It is included with Windows Vista and Windows 7. It can be downloaded here for Macintosh users, and here and here for Windows XP users. Windows XP users will also need to activate ClearType rendering online or by downloading the ClearType Tuner PowerToy. If you are having trouble entering comments, make sure that your browser is set to accept third-party cookies. You Think Health Care is Pricey Now? What's Half a Trillion Dollars Among Friends? Health Wonk Review: Should Auld Acquaintance Be Forgot? Cross-posted from Critical Condition on National Review Online. This afternoon, Senators Tom Coburn (R., Okla.) and John Barrasso (R., Wyo.) released a 27-page report entitled “Grim Diagnosis: A Check-Up on the Federal Health Law.” The piece reviews some well-known criticisms of Obamacare, especially its impact on the deficit. But the report’s point of emphasis—one that deserves broader mention—is the law’s impact on jobs and unemployment. For example, Coburn and Barrasso point us to the Congressional Budget Office’s August economic outlook, in which CBO estimates that the law’s Medicaid expansion and insurance subsidies will shrink the labor market by approximately one half of one percent. That is the equivalent of around 780,000 jobs: about 50 percent more than are sponsored by GM, Ford, and Chrysler combined. I’ve posted a more extensive summary of the Coburn/Barrasso report over at ObamaCare Watch. The Department of Health and Human Services quietly changed the web version of a speech in which HHS Secretary Kathleen Sebelius described how the health care overhaul is going to affect Medicare Advantage plans, a controversial section of the law, after aides to Sen. Charles E. Grassley (R-Iowa) challenged its accuracy. Sebelius had told an AARP conference in Orlando last week that next year “there will be more Medicare Advantage plans to choose from,” according to prepared remarks e-mailed to reporters and posted on HHS’s website on Monday. Grassley’s staff asked HHS to back up the statement, an aide to the senator, who has long been skeptical of Democrats’ claims about the health law’s impact, told POLITICO. A second change was made as well. Sebelius said the law would result in “more” choices in Medicare Advantage. That was changed to “better” choices. It’s a bit ironic, given that Sebelius has been blasting others as peddlers of “misinformation” for describing how PPACA will increase health insurance premiums. CMS also said that 0.3 percent of today’s Medicare Advantage beneficiaries will not have access to a plan next year. Another 5 percent of beneficiaries of it and stand-alone drug plans will need to find a new plan because their current one is not renewing its contract – moves that HHS attributed to 2008 legislation and not the reform law. Grassley said the CMS information “directly contradicts” what Sebelius said in her speech. “I find it particularly troubling that the section of your speech dedicated to setting the record straight and criticizing those concerned about the future of the MA program contains substantial misinformation and omissions,” Grassley wrote in a letter to Sebelius. It’s not obvious why Sebelius insists on engaging in such political hackery, but if she wonders why PPACA is unpopular, she should gaze at her own navel. In keeping with the spirit with which PPACA was written, let’s focus first on dessert (the subsidies) and then the spinach (the increases). Employers with 25 or fewer employees and average annual wages less than $50,000 are eligible for tax credits for up to 35 percent of their health insurance costs through 2013; for 2014 and 2015, these firms can gain a credit of up to 50 percent of their insurance costs if they enroll in the PPACA-sponsored state-based exchanges. The other tax credit listed by Kiplinger is more directly a subsidy: available on a sliding scale to individuals with incomes between $11,000 and $44,000 ($22,000 and $88,000 for families), for purchasing health insurance. 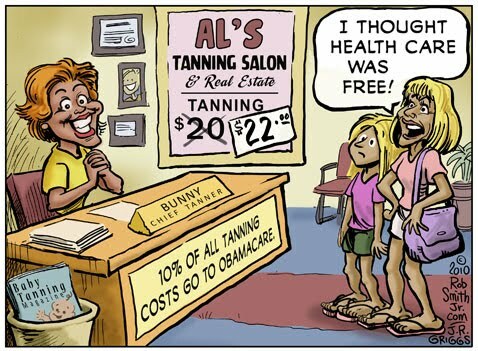 A 10 percent excise tax on indoor tanning services (a boon to beach towns everywhere). Doubling the penalty for spending money from your tax-free health savings account for non-health-related purposes (as defined by PPACA), to 20 percent. Capping the amount that employers can contribute to your tax-free flexible spending accounts (employer-sponsored HSAs), at $2,500 a year (it was previously limited by your employer’s generosity). Banning the use of funds from HSAs and related accounts for the purchase of over-the-counter medications (now you will have to go to your doctor and get a prescription, a waste of precious health-care resources and doctors’ time). A 0.9% Medicare surtax to wages over $200,000 for individuals and $250,000 for married couples, along with a 3.8% Medicare tax on investment income of these individuals. (The 3.8% tax will actually apply to the lesser of unearned income or any excess income above $200,000/$250,000.) Because this tax is applied to pre-tax income, these taxes are equivalent to income tax rate increases of 2% and 8% respectively. The ability to deduct itemized medical expenses will begin after you spend 10% of your income on medical expenses, instead of 7.5%. The employer mandate, which requires that all business with more than 50 employees offer PPACA-approved health plans to all of their employees, or pay a tax of $2,000 per employee, excluding the first 30 employees. The “Cadillac tax” on high-value health plans: beginning in 2018, plans costing more than $10,200 for individuals, or $27,500 for families, will be assessed a 40% excise tax. Insofar as this tax mimicks the elimination of the employer tax exclusion, it is the least offensive of Obamacare’s tax increases, but unfortunately that policy goal—harmonizing the tax treatment of individually-purchased and employer-sponsored health insurance—is neutered by the employer mandate described above. And last, but not least: the individual mandate, which requires everyone to purchase health insurance, or pay a tax: it starts in 2014 at $95 or 1% of gross income, whichever is greater; and maxes out in 2016 at the greater of $695 or 2.5% of income. Importantly, Kiplinger’s run-down overlooks PPACA’s numerous tax increases on health care businesses, as well as its thousands of mandates that will increase the cost of health care and labor, all of which will be passed down to consumers in the form of higher costs for everything from cancer drugs to Big Macs. For example, the $2.5 billion excise tax on pharmaceutical companies will simply get passed onto consumers: companies will charge $7-8 billion more for their products, in order to recover the income lost to the excise tax. Similar taxes on medical devices and health insurance will be passed onto consumers. And whether your local McDonald’s franchise chooses to offer generous health insurance to all of its employees, or instead pays the new tax for failing to do so, the cost of your Happy Meal is going up. Kiplinger’s 13th “change” is genuinely a change: employers will now be required to disclose on your W-2s the amount they spend on your health insurance, so as to ensure enforcement of the individual mandate, the employer mandate, and the Cadillac tax. Business owners are required to generate a 1099 for any vendor where they purchase more than $600 in goods or services. That means if you own a business and buy more than $600 in gasoline, electricity, telephone, internet, cell phone, natural gas or water you must generate a 1099 for those businesses. Buy more than $600 from Office Depot or Staples? Do you pay a cleaning service to empty the trash in your business? Pay a landscaper? Provide a coffee service for employees and guests? It will cost you money to generate those 1099's. Money that could have been used to create jobs. Obamacare's HHS: like Renaissance Rome, but with a bigger budget. 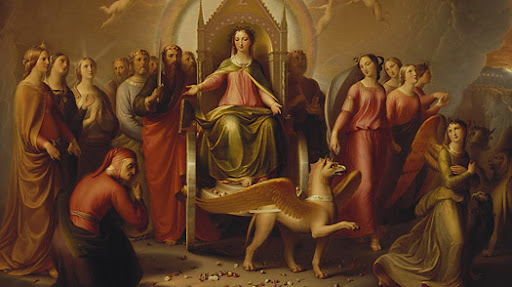 Renaissance popes added to their wealth and power by granting indulgences—commutation of punishment for already-forgiven sins—to those who gave money to the Catholic church. Papal abuse of this process led directly to the Protestant Reformation. On Thursday, administration officials indicated they are hopeful that HHS Secretary Kathleen Sebelius will be able to allow certain waivers to the requirement, but that it was too early to confirm they will. She must wait for guidance from state insurance commissioners, and the administration doesn't expect to release the agency's final guidance until December. The agency said the law gives Ms. Sebelius discretion to apply the requirement. "We fully intend to exercise her discretion under the new law to address the special circumstances of mini-med plans in the medical loss ratio calculations," said Jay Angoff, a director at the Department of Health and Human Services. "We intend to address these and other special circumstances in forthcoming regulations." As if giving bureaucrats free rein to engage in abusive government practices is an improvement. It’s a great setup for Sebelius. Health care affects every business in the country. And every business in the country now knows that if it publicly disagrees with Sebelius’ health care policy—what she calls “misinformation”—that business will place at risk its ability to receive the regulatory indulgences necessary to remain economically competitive. If you think there is too much corporate money in politics, you ain’t seen nothin’ yet.